We've read through the piles of coverage so you don't have to... many bite-sized facts and details after the jump. 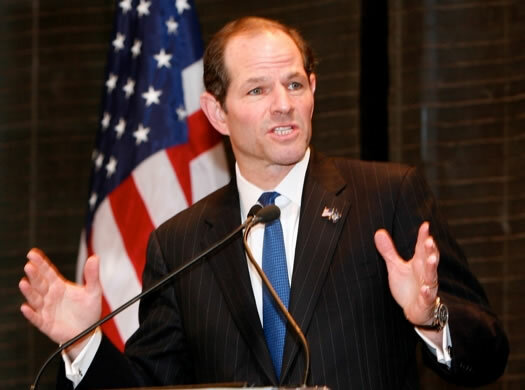 + Spitzer apparently paid more than $3000 cash for his encounter with "Kristen" on February 13 at the Mayflower Hotel in DC, plus additional cash for future encounters. + If Spitzer does resign, Paterson would become governor -- and Joe Bruno would assume the duties of lieutenant governor. Eliot, do the 70 percent of us who voted for you a great favor. Put New York in play for the Conservatives in the 2008 race for the White House. Quite a series of accomplishments in less than 15 months. Well said, Mark. Couldn't agree w/you more!